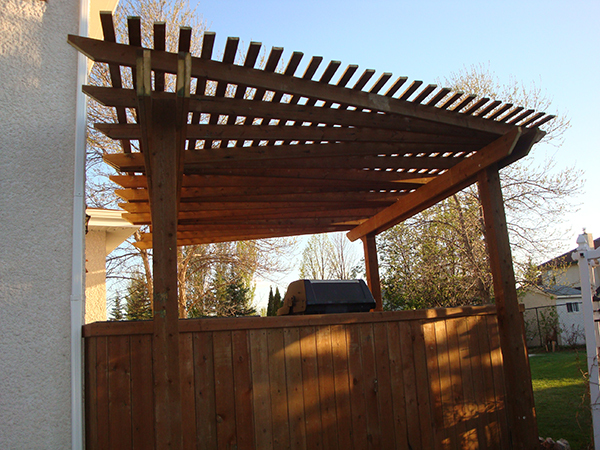 When the party spills out onto the deck this summer, you’ll be the envy of your friends with a landscaping plan that can cover off all of your needs. 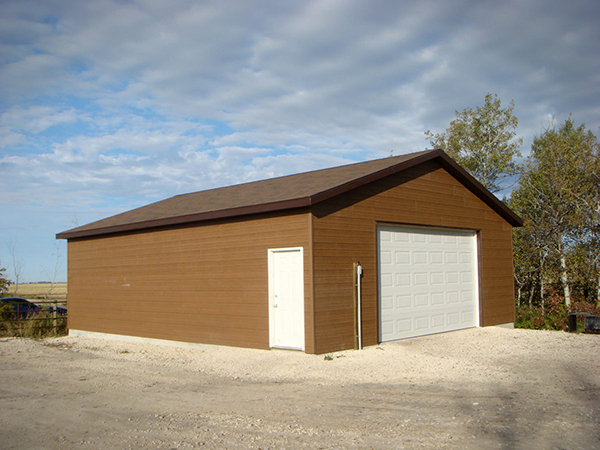 If you can imagine it, we can build it. 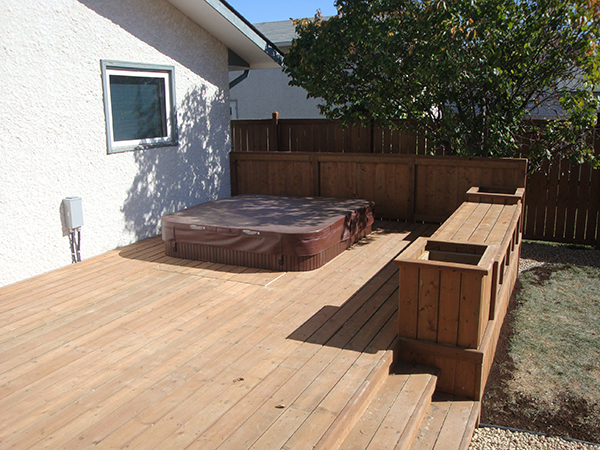 In this project we used treated brown lumber for the deck. 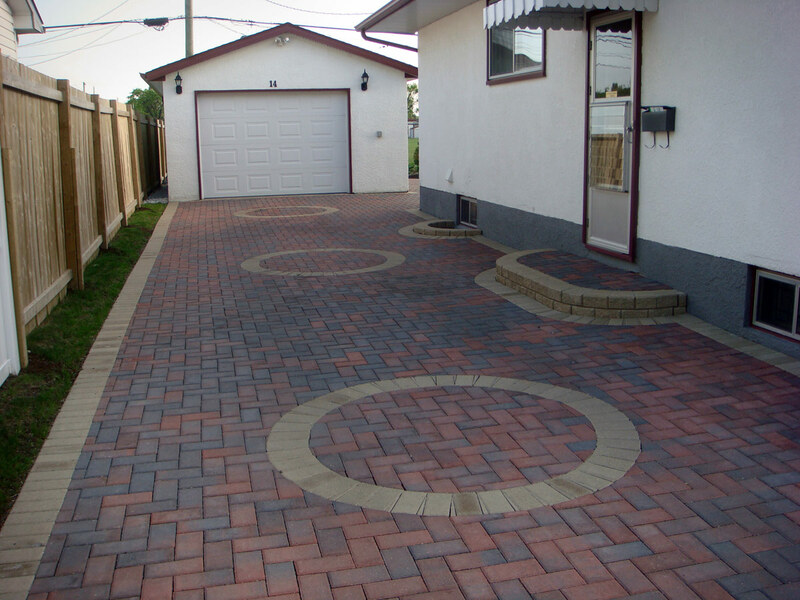 The patio features Roman pavers in Antique Brown. 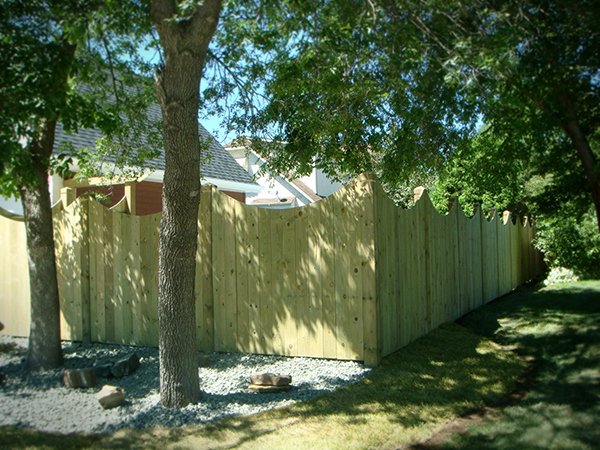 The retaining wall uses Quarry Stone in Desert Buff. 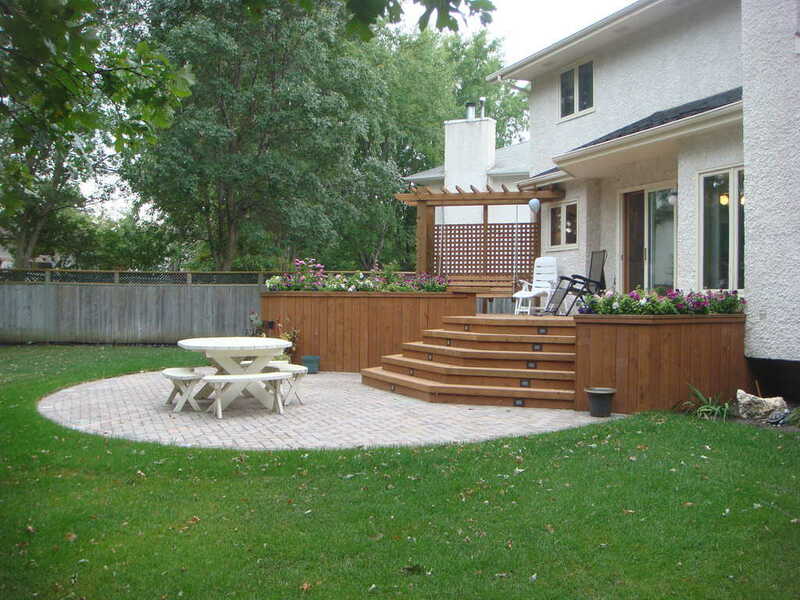 Looking for backyard landscape ideas for your Winnipeg home? 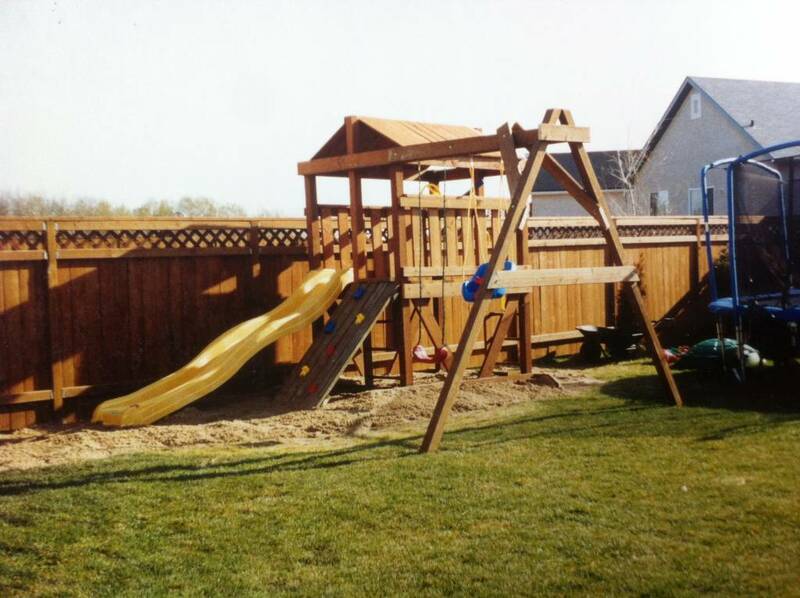 The Lawn Salon created this treated brown deck with stair lights, built-in swing and planters. 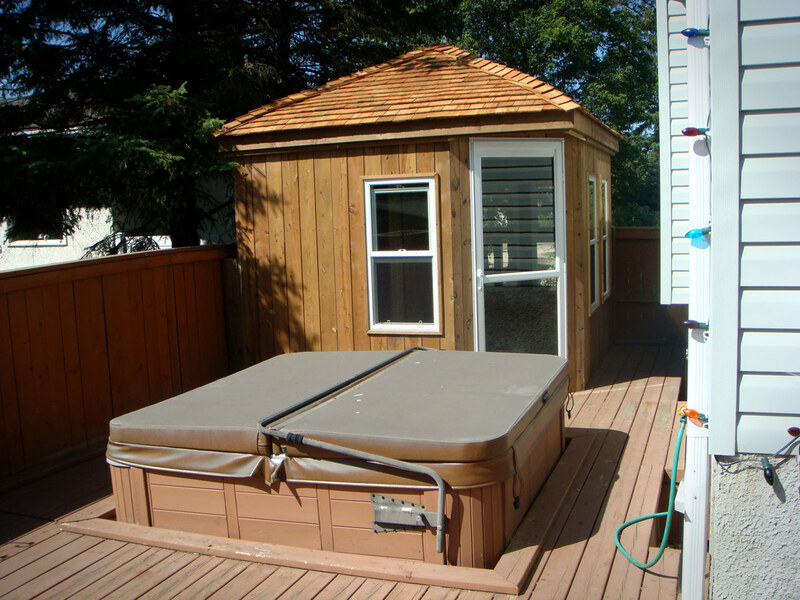 The patio features Autumn Brown Holland pavers. 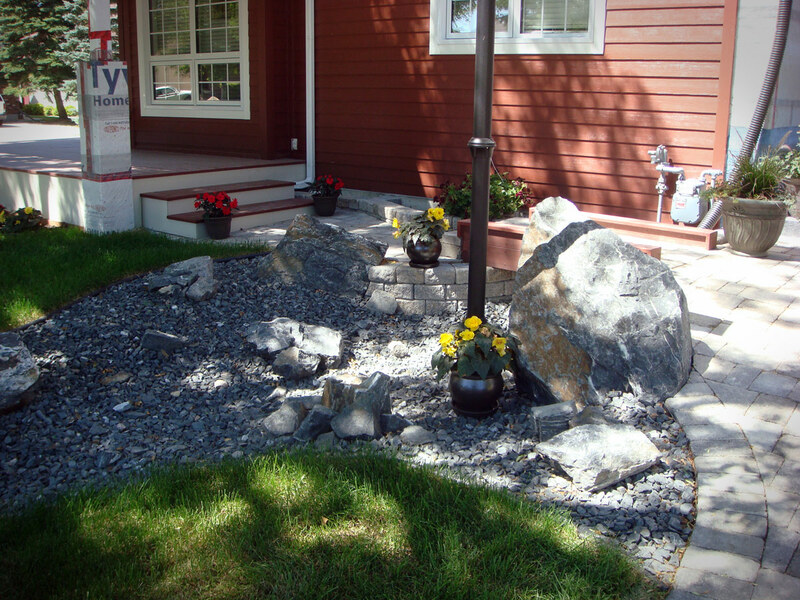 This low-maintenance landscaping feature was created by The Lawn Salon. 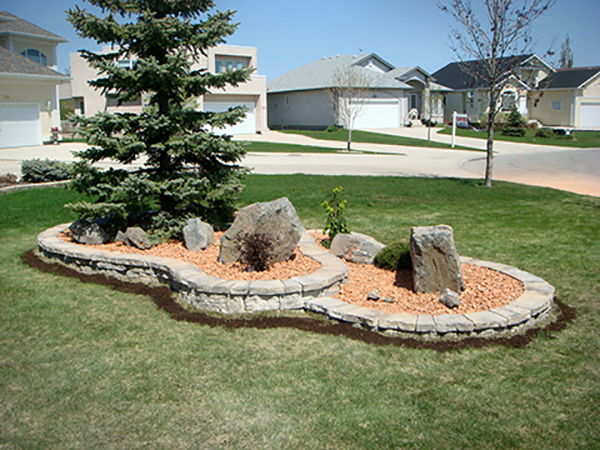 It features a Belvedere retaining wall with 1 1/2′ Red Shale and Black Granite boulders. 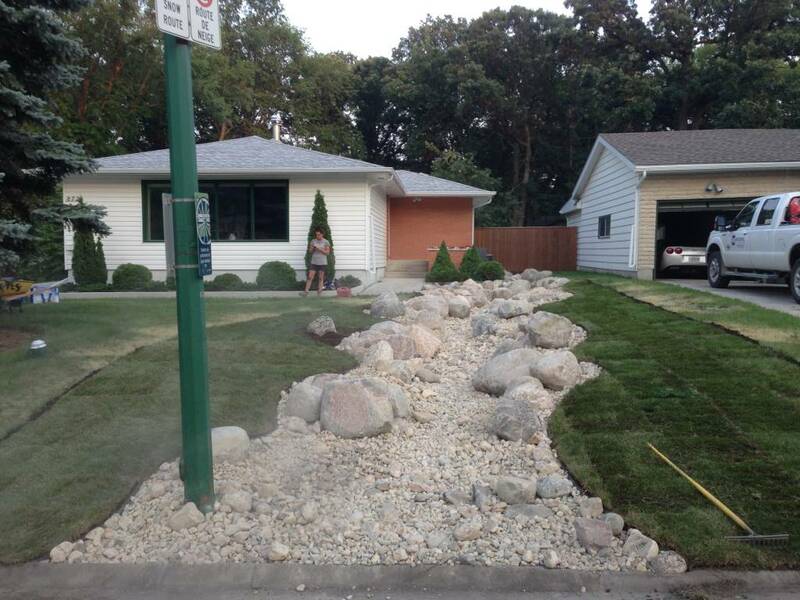 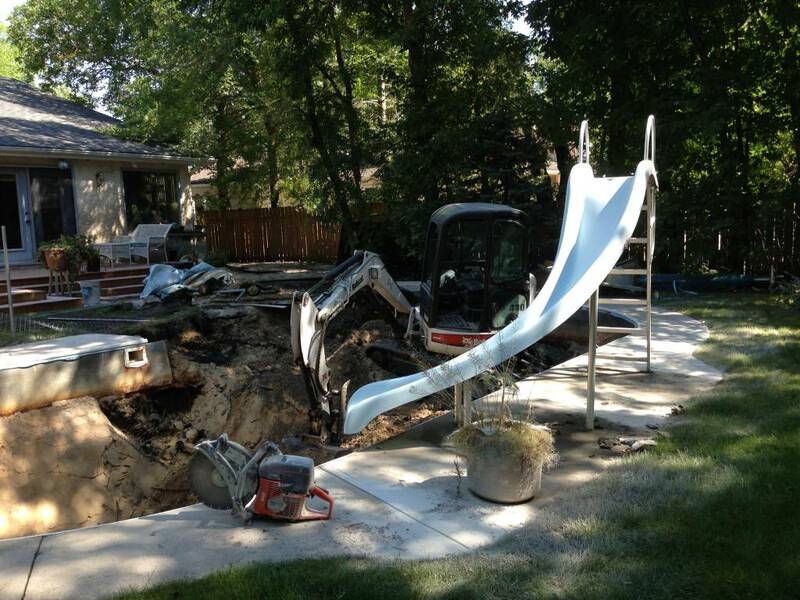 This backyard waterfall was created by one of Winnipeg’s most experienced landscaping contractors: The Lawn Salon. 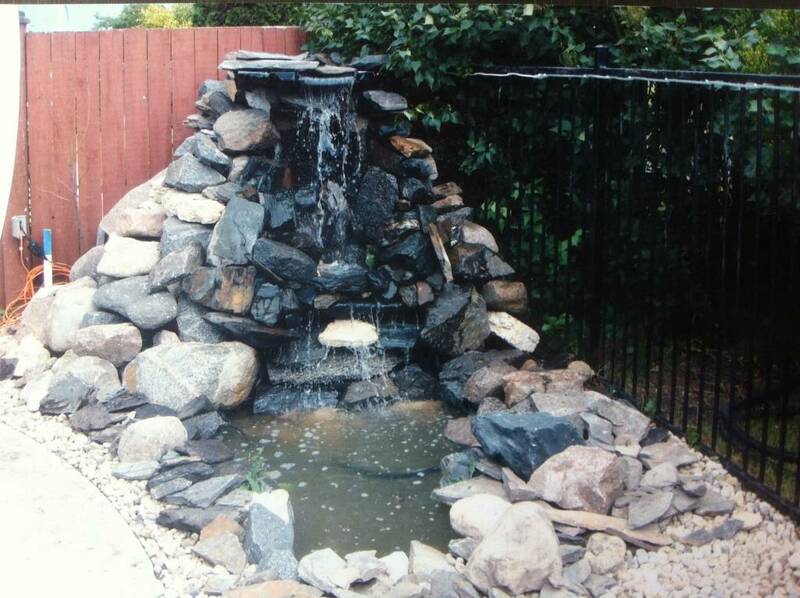 The waterfall is black granite with Pisa II retaining wall in Autumn Brown. 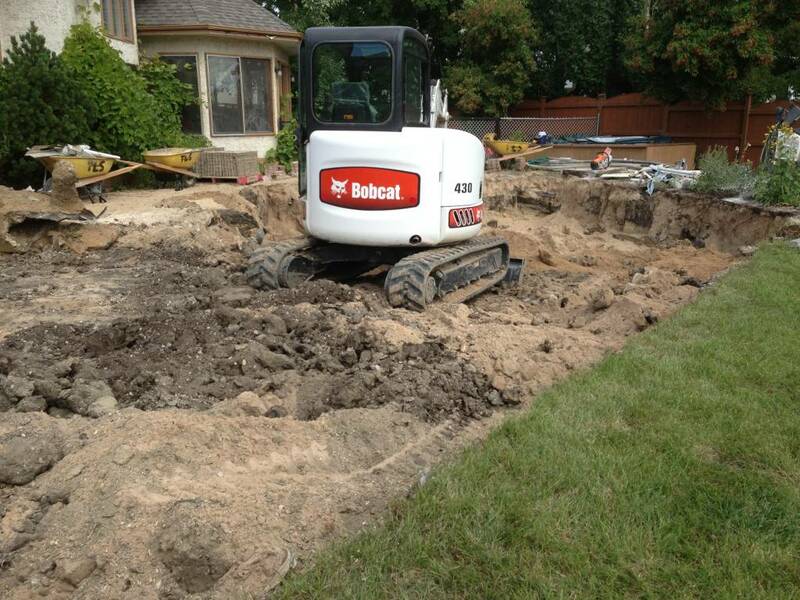 We offer a full range of landscaping and yard services, if you do not see the service you need, do not hesitate to ask us!